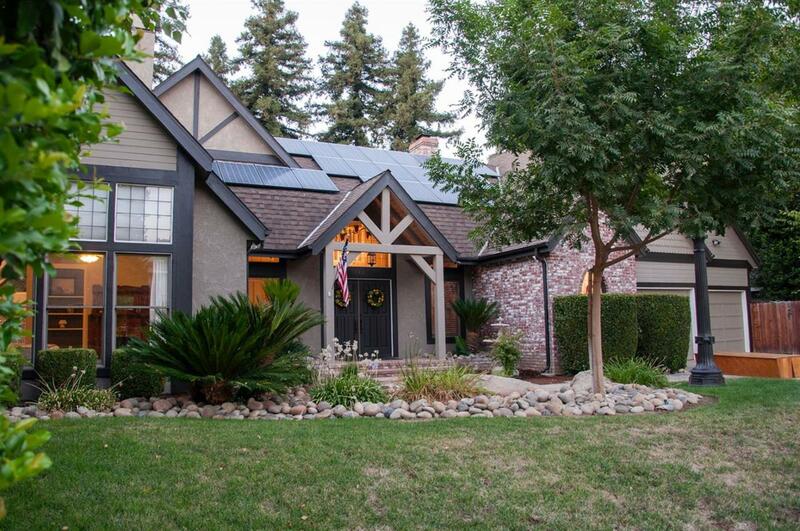 Absolutely stunning home in the tree-lined Blain Park neighborhood. This home is a WOW: a classically designed home uses lots of beams, brick, natural light, incredible architectural features, and is beautifully enhanced by the current owners' numerous custom remodels and upgrades. Downstairs master features vaulted ceiling, fireplace, walk-in closet, bathroom with Carrara marble countertops, and large shower with marble subway tile. It's absolutely peaceful and charming. Kitchen is a chef's delight with custom cabinetry, stainless appliances, granite and travertine finishes, counter seating plus a breakfast room with views to the pool. Great room has two-story ceiling and masses of windows for natural light and views to the lushly landscaped backyard. Upstairs, a media/family room space adjoins the two bedrooms and full bath. Backyard waterfall at pool and mature landscaping make the home feel like a retreat. Leased solar, upstaris/downstairs AC's, pull-through garage. A must see!